Walking in Ireland is a national pass time. 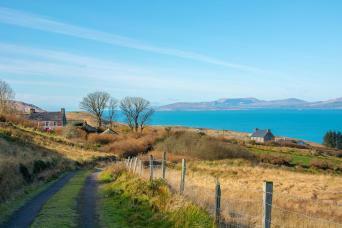 The island is crisscrossed by a wealth of fantastic walking trails and here at Macs Adventure we have picked out the very best long distance trails, added friendly local accommodation and arranged to have your bags transferred, so all you have to do is hit the trail and let us worry about the rest. 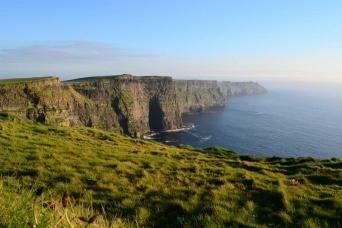 Walk along the breathtaking cliffs of Moher on the Best of the Burren Way. 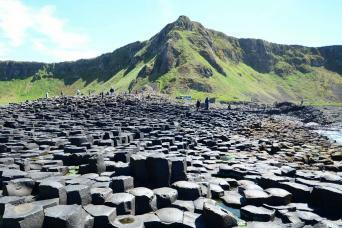 Discover ancient monastic universities on the Wicklow Way, or head to Northern Ireland and discover the otherworldly landscape of the Giants Causeway. Tie all of these into the local love for good craic, good music and a good pint and you have a walking holiday you will never forget. 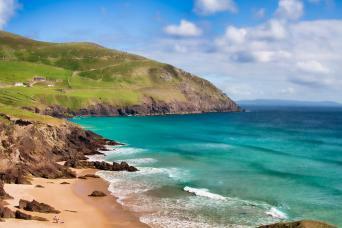 Discover the best of Ireland on a rewarding circular drive and hike tour from Dublin through the counties of Wicklow, Cork, Kerry, and Galway. See countless castles and historic highlights, unspoilt lakes and mountains, and meet friendly locals. Antrim Glens and Causeway Coast is a combination of The Moyle Way and the Causeway Coastal Walk, 2 walks that display the wide array of natural riches that this corner of Northern Ireland has to offer. The trip highlights the diverse landscapes, abundant wildlife and geological wonder that will leave you with a lifetime of memories. Walk the best of the Burren Way on Ireland’s rugged Atlantic west coast exploring the impressive Cliffs of Moher and the Aran Islands. 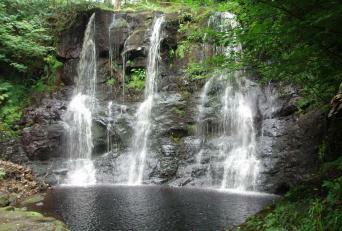 Travel the length and breadth of Ireland on a two-week scenic drive and hike tour which takes in all the iconic sites. Encounter such must-sees as Dublin, the Giant’s Causeway, Dingle Peninsula, Ring of Kerry, Rock of Cashel, Blarney Castle, Cliffs of Moher, Galway, Croagh Patrick, Belfast’s Titanic Experience and megalithic Newgrange. 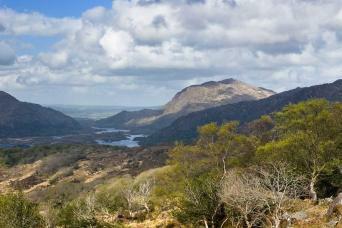 Walk through Connemara’s iconic wild landscapes offering coastal, island and mountain discovery, on the western edge of Europe. 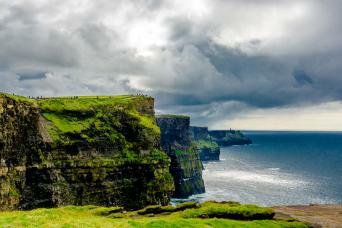 Explore Ireland’s highlights on this superb week-long drive and hike tour. Classic attractions include Dublin, the Rock of Cashel, Blarney Castle, Killarney, the Ring of Kerry, Dingle, the Cliffs of Moher, The Burren and Connemara. 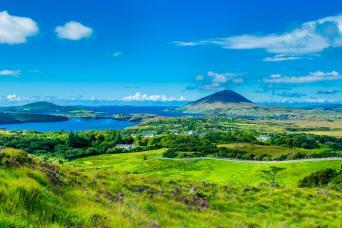 Walk through the natural and unspoilt countryside of the Sheep’s Head peninsula on Ireland’s Wild Atlantic Way coastline in West Cork. 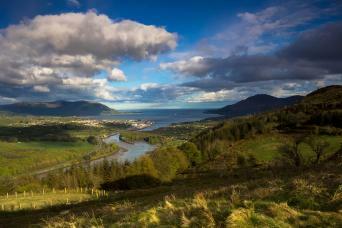 Follow in the footsteps of Saint Patrick on the best of Northern Ireland’s pilgrimage walking trail. 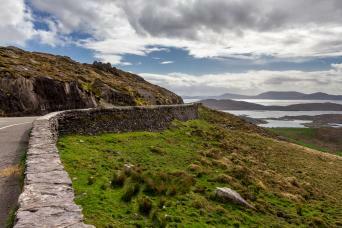 Experience the raw, unspoilt beauty of Ireland on the enchanting Kerry Way; a 210km Irish national walking trail which also takes in the highlights of the famed Ring of Kerry route. Walk through rolling landscapes punctuated by lonely valleys, dramatic Atlantic coastlines, peaceful lakes, charming villages and historic features.